In May 2015 the EACB issued, in collaboration with the European think tank on co-operative banks (Think Tank on Co-operative Banking), a Call for Papers for the fourth EACB award for young researchers on co-operative banks. The purpose of this award is to stimulate research on co-operative banks and the fundamental role they play in the real economy. Giorgio Caselli, 'Monetary policy, bank risk taking & financial stability: The role of 'biodiversity' in European Banking'. 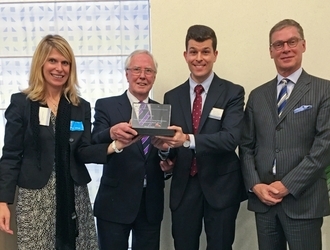 Giorgio Caselli received his prize during the EACB Academic Conference held in Brussels on the 1st of June 2016.